This marriage proposal was incredibly sweet until the man suddenly puked. Wow, this certainly didn't go as planned—a man proposing marriage to his girlfriend had the misfortune of vomiting right as he popped the big question. It wasn't so much from nerves as it was from airsickness. Still, the timing was impeccable. Luckily, this didn't deter his girlfriend (now fiancée) from saying yes. 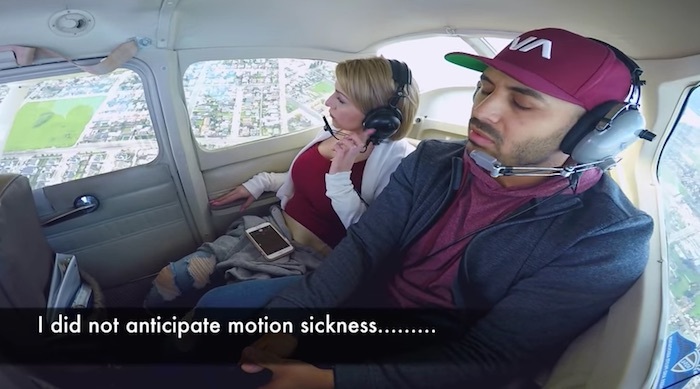 And hey, they'll have a story for their kids: "Well, when a man and a woman love each other very much, the man takes the woman for a romantic ride in a small plane and vomits."